It's so weird to think that this is the last Great Impressions Challenge for 2014. But not to worry--2015 will be full for fun challenges! Here is the angel that I colored for my card. 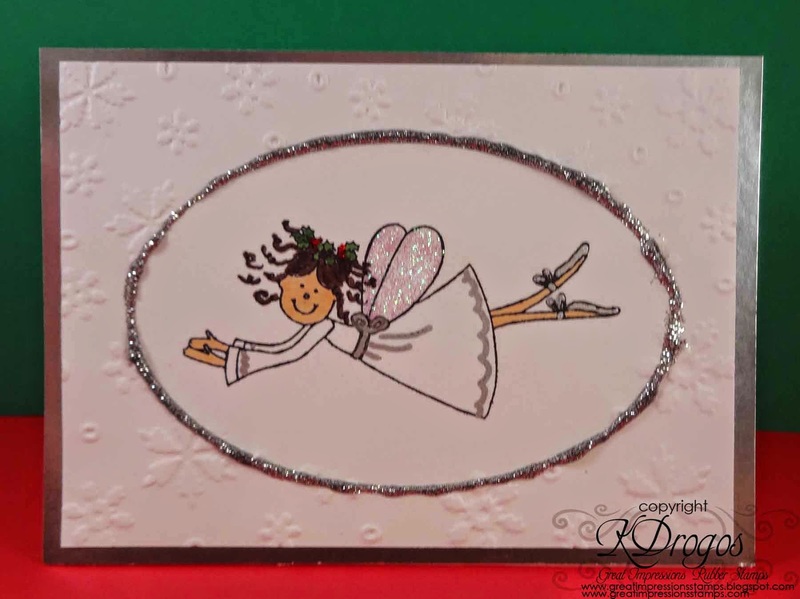 This is stamp F461 Christmas Angel. I used a silver photo pen for the detail work. Then I went back over with a finer black pen. Here is my completed card. I added Crystal Stickles to her wings and red Stickles to the holly in her hair. Silver outlines the oval. For the white cardstock part I embossed the paper with a special plate that has an oval cut out. This is from Tim Holtz. 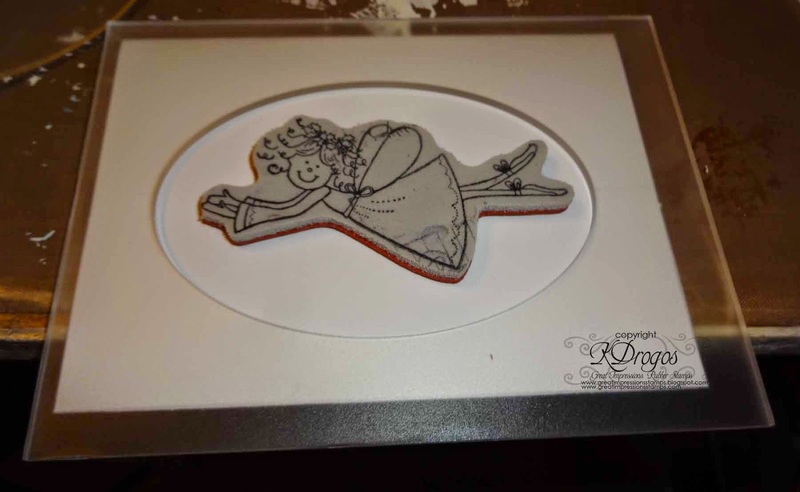 I made sure that Christmas Angel would fit then I placed the paper in the embossing folder. I have a Cuddlebug so I used a B plate and then this was the other plate. It is very cool that the oval was not embossed so I could stamp and color my angel. Usually I put the sentiment on the outside of the card and leave the inside blank. But I thought that the angel should take front and center stay all by herself. So I stamped this sweet sentiment on the inside: B218 Magic in the Air. The GI Design Team and I are so excited to see what you will create with the Great Impressions Stamps! There plenty of time to buy Great Impressions stamps for this challenge. Just go Here! :) For more inspiration be sure to check out our Facebook Page and Pinterest Boards. Soooooo beautiful! I love love love that angel!!!!!! Adorable angel! Love the card you created!! !